A key suspect in Kenya's biggest ever corruption scam has said that he got ex-president Daniel arap Moi involved in his gold and diamond re-export plan. Kamlesh Pattni, a major shareholder of Goldenberg, told the inquiry into the scandal that Mr Moi was keen to earn foreign currency for Kenya. 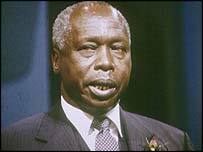 Mr Moi denies any part in the affair, in which Kenya lost up to $600m between 1990 and 1993. He told the BBC in March he would never have allowed such a thing to happen. In a statement issued after Mr Pattni's allegations, Mr Moi said: "He has never been a director or a shareholder of Goldenberg International. He has never bought shares or been allocated shares by anybody in Goldenberg International and he has never attended any meeting or any function of the Goldenberg International." Current President Mwai Kibaki set up the inquiry a year ago to investigate why Mr Moi's government paid Goldenberg for the supposed exports which proved fictitious. 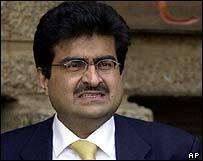 Mr Pattni, who is the main defendant in the trial, said the scam had started out as a noble idea but turned into a scandal after it was sabotaged by greedy individuals who wanted a share. His idea had been to legitimise the re-export of gold and diamonds coming into Kenya from third countries. Kenya itself has negligible amounts of either commodity. He said things started to go wrong when he sought the support of senior government officials to help him clinch the deal. He was able to enlist Mr Moi's help because the former president saw the plan as an opportunity to earn money for Kenya rather than relying on aid from the IMF and the World Bank. But prosecutors say the exports never took place, although the scandal cost Kenya the equivalent of more than 10% of the country's annual GDP. It is not yet clear whether Mr Moi or top officials in the current government who have been linked to the scandal will be asked to give evidence.